It might be a complete coincidence, but truth be told, I've started to get a lot of compliments lately. From "Is that a fresh cut", to "Did you just get your hair professionally done", the compliments have been rolling in and my head (and my hair) has been getting bigger ever since. 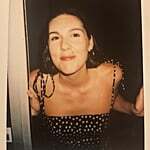 At first, I attributed all the unexpected attention down to the fact that I'd simply been wearing my hair out more — as opposed to the slick bun I have an unhealthy attachment to. 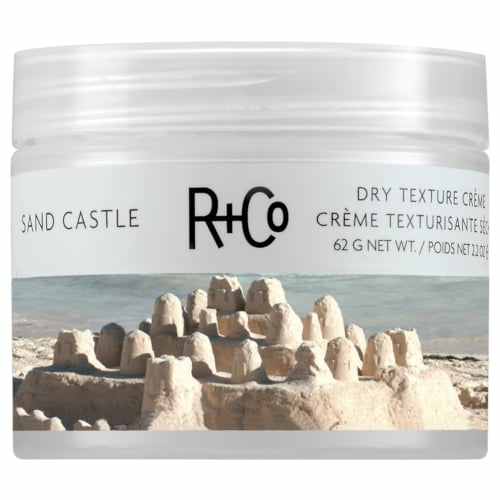 But after one particularly compliment-heavy morning, it finally clicked that all these good-hair-days had coincided with the use of a new product: R+Co's Sand Castle Dry Texture Creme ($42). Truth be told, I actually had no intention in trying this product (sorry R+Co, it gets better I promise). The brand had kindly sent me a few new things from their roster, and I initially took the product home thinking it might be something my boyfriend would enjoy using (side note: we currently share the Oaui Matte Pomade). But, being the kind of person who is often spurred to try new things the moment I'm running late or should not be experimenting, five minutes prior to my bus arriving I decided instead of popping my hair back into my usual slick bun, now was the time to try the product that I'd already relegated to my boyfriend's bathroom drawer. It's clear I wasn't expecting miracles, but as I rubbed the gritty, sandy paste between my hands, transforming it into an invisible powder, that I then worked through the ends of my second-day waves, the piecey texture I was left with was almost shockingly good. Normally I rely on my texturizing spray, but this product allows for more control and separation, and while matte in finish, doesn't leave my hair feeling dry. I also found, that as long as I didn't use too much, the product wasn't visible and didn't add any significant tacky or sticky feeling (which I hate), meaning you can still actually touch your hair and it's not the kind of product that you can only use once, before you have to wash (hence my past reliance on the slick bun). Since then, I've been using the product, and pretty much only this product, on s-waved hair to create a piecey, undone texture that I'm very much into, and according to the rolling compliments, everyone else is as well.